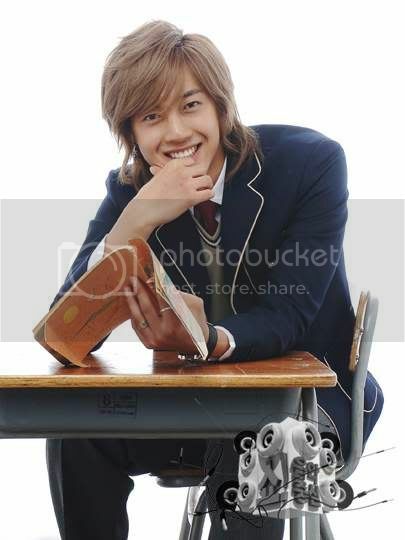 Everyone [who loves Hyun Joong] knows that he was co-host at Music Core with Brian Joo of Fly To The Sky. But we rarely see pictures of them....maybe because it was some time in the past. Me posting some pics and vidz of them here for my records ^^...you're welcome to enjoy them...he he. he...btw, there's a surprise in the vidz...hmmm...can you guess ?? KHJ: It was a good stage performance by Hwangbo. Brian: Is that Hwangbo? I was surprised by her change. KHJ: I, too, was surprised by her change. Wow, we used to call her Mr. Hwangbo, but we shouldn't call﻿ her that any more. Everything about her, her voice and the look, is feminine. and if you'd like to see more of them, click here.